The musical journey began in 2011. 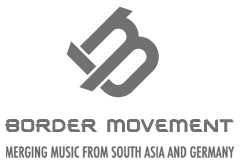 Started by french drummer/producer Paul Schneiter and North Indian classical vocalist Tritha Sinha, the band played its maiden concert in New Delhi in January 2012. The band attained musical maturity when Mathias Durand, a flamboyant guitarist from Paris, influenced by Western and Indian classical music, joined the band in 2013. In a troubled world of conflict, confusion and tragedies, the lyrics are excavations out of Indian scriptures or are written by Tritha in regional Indian languages like Hindi, Sanskrit and Bengali. They address issues such as the environment, women’s liberation, corruption and the unending journey towards discovery of self and divinity.